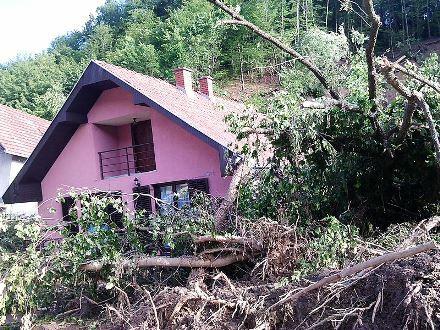 Though it did make the international news, the recent disaster in Southeastern Europe may not yet have achieved the same kind of awareness as comparable catastrophes. 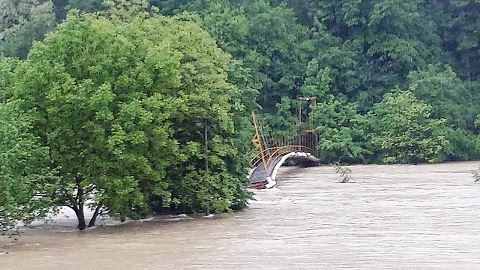 Several Balkan states are suffering from the worst flooding in over a century, and more than 1.5 million people from the region are affected. Where has the flood hit particularly hard? While there is some flooding in parts of Bosnia & Herzegovina, Serbia, and Croatia, the border region in Northeastern Bosnia and Western Serbia is worst off. The situation in Bosnia, though dire, is less critical by now as the heavy rains have stopped. The residents of Belgrade, the Serbian capital, still have some cause to be anxious. The water from the River Sava, an important tributary of the Danube, is expected to reach the city by the end of the week. Who is affected by the disaster? All in all, an estimated 1.6 million residents, or more, have been struck by disaster, in some way or the other. Thankfully the official number of casualties remains fairly low, with 50 people confirmed dead and others still missing. However, about 30,000 Serbians and over 100,000 of their Bosnian neighbors had to leave their homes behind. Others “just” have to deal with the fallout of ruined housing and damaged infrastructure (roads, power stations, water supplies). Why are the consequences of the flooding so dire? Bosnia & Herzegovina in particular is in a rather bad state. The floods have been called the worst thing to befall the country since the 1990s Balkan Wars. In the short term, the many drowned farm animals and the lack of fresh water pose a serious risk of epidemic diseases, like typhoid fever. But the long-term effects shouldn’t be underestimated, either. The destruction of numerous family farms in the countryside means the loss of their livelihood for the owners – as well as a serious damper on the national economy. Nearly 20% of Bosnian workers earn their living in agriculture. Lastly, the waters and resulting landslides have dislodged countless landmines from the wars. Only one third of all landmines used between 1992 and 1995 have been found and destroyed so far. Up to 120,000 mines may still be buried in once disputed border territories. 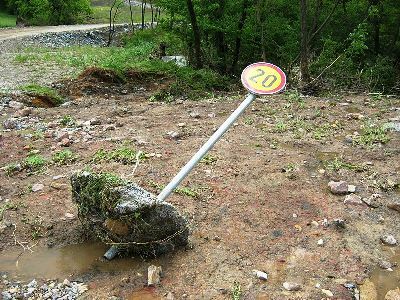 This is a major danger: Post-flood recovery work will proceed more slowly; all helpers, volunteers, and returning families are at risk; the anti-landmine specialists often need to start their work all over again, as they no longer know where the explosives ended up. What do the flood victims need right now? Obviously, the governments responsible for the affected areas have to provide technical and military support for rescue and recovery operations, especially if landmines might be hidden (or have washed up) there. But the displaced residents are also in urgent need of everyday items, such as food, medication, clean drinking water, toiletries, powdered milk, and baby clothes. In the not so distant future, many of them will have to rebuild their lives from scratch. The following organizations are probably the most reliable recipients for international donations. – The Serbian government has established an official flood relief fund to coordinate efforts. – The Red Cross Society of Bosnia & Herzegovina is asking for financial support (site in Bosnian only, but there’s an online appeal, as well as English-language payment information on the homepage). – The Novak Djokovic Foundation, established by the Serbian tennis star and UNICEF Goodwill Ambassador, is also collecting money to rebuild or renovate kindergartens and schools in affected regions. Moreover, local and national aid organizations from your country may also be trying to help. To cite but one example: the German NPO action medeor is currently sending medical supplies to local clinics and hospitals in the Balkans. And don’t forget to spread the news: Just share this post – thank you! Xвала! Hvala lijepo! i will like to work with the International Aid team as a volunteer, so if the International Aid need a volunteer please let me know.